If we don't count the obsolete and totally unreliable Google Trusted Face, Nokia smartphones don't have any software that would enable the face unlock feature. Although HMD Global, the Finnish company behind the Nokia-branded smartphones, announced in the past that it will eventually bring such a feature to its products, we have yet to see it happen. With its new trio of Android smartphones unveiled at Mobile World Congress early this week, HMD wants to make sure that customers are getting all the features they're expecting from a world-class brand like Nokia. 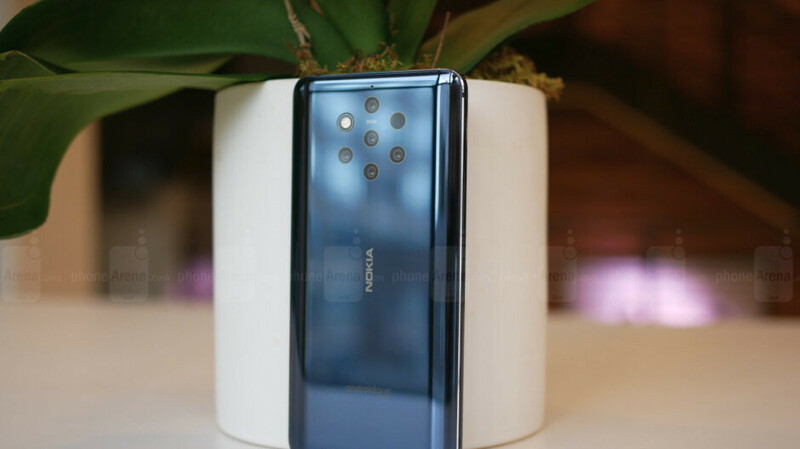 As such, HMD Global announced it has partnered with Sensory, a well-known company that dabbles in speech and vision technologies, to include the so-called TrulySecure facial recognition feature into three of the newest Nokia smartphones. Once the new software is deployed, users of the Nokia 9 PureView, Nokia 4.2 and Nokia 3.2 will be able to unlock their phone via powerful facial recognition. According to Sensory, its TrulySecure technology is a FIDO certified biometric authentication technology that quickly, conveniently and securely recognizes user via face biometric recognition technologies. The technology behind the face unlock feature can differentiate individuals at a 99.999% accuracy rate, Sensory claims. Also, it can identify users in less than a second. None of the new Nokia-branded smartphones are available on the market yet, but they are expected to hit shelves next month, so we're waiting for Sensory to provide Nokia fans with a release map for the update that will add face unlock to these phones. Awesome that HMD is remaining true to their word and adding this feature to their soon to be released Nokia branded smartphones. HMD is a company that, so far, has stayed true to their word about other things as well, such as speedy OS updates and consistent security updates, as well as staying true to the support they promised to give their fleet of smartphones. Hmm... By the time Nokia released the first batch of Android 9 updates, Sony had released already one phone with Android 9 out of the box and 5 more updates for older models. Only the Nokia 7 Plus was updated really fast. From a Android One company I was expecting better. What are you going on about? The budget Nokia 5.1 plus received the Pie update before the turn of the year. And last week, it received another stable build and February 5 SP. No Sony smartphone in its price range would dream of that. Hmm... Not sure how price has anything to do with updates other than permitting the companies to promote their flagships, but the fact is that Sony had 6 phones with Android 9 by the end of October, not the end of the year. Once more, I agree with you, Cyberchum. One would also think that Google would push out Android One updates faster, keeping with their promise, but that is not the case, despite what some uninformed people think. HMD also updated several of their smartphones before the X4, although some will try and mislead you into thinking otherwise. Totally agree with what Cyberchum posted. HMD has updated more smartphones in its fleets at ever price point than Sony has. Blame Google for dropping the ball with Android One, not HMD. They’ve updated more of their smartphone fleet to Pie than any Android OEM currently. What you say makes no sense; The Sony Android version is lightly skinned, which should make updating more difficult than phones in the Android One programme. And yet, Sony managed better than Android One phones. But how is this Google's mess? First Nokia to receive Android 9 was also an Android One phone but it was updated as early as August. But since then the rest of the Nokia updates came a lot later. I think OEMs messed up their Android One updates, not Google. And Sony bested them all, even with their skinned version. You not understanding what I typed doesn’t mean what I said doesn’t make sense. That’s a reading comprehension issue on your part. Google is responsible for pushing the updates to Android One OEM’s, and they haven’t been doing it in a timely manner. HMD also has more of its smartphones at more price points on Pie than Sony does. HMD provides better support to its Nokia branded smartphones than Sony does. This is just one of the reasons why a company that’s under 3 years old like HMD can take the Nokia name, which was all but dead in the smartphone space, and revive it and surpass Sony in the smartphone space, volume wise. I agree. One would think with being part of Android One would mean a faster update schedule, but apparently that's not the case. Google has already pushed the update out, so it's not their fault if Nokia is lagging behind. The Essential phone and the X4 were updated last year. I was surprised at Sony getting the update out fast as they did. Sensory partnership sounds interesting sounds like it's very secure.